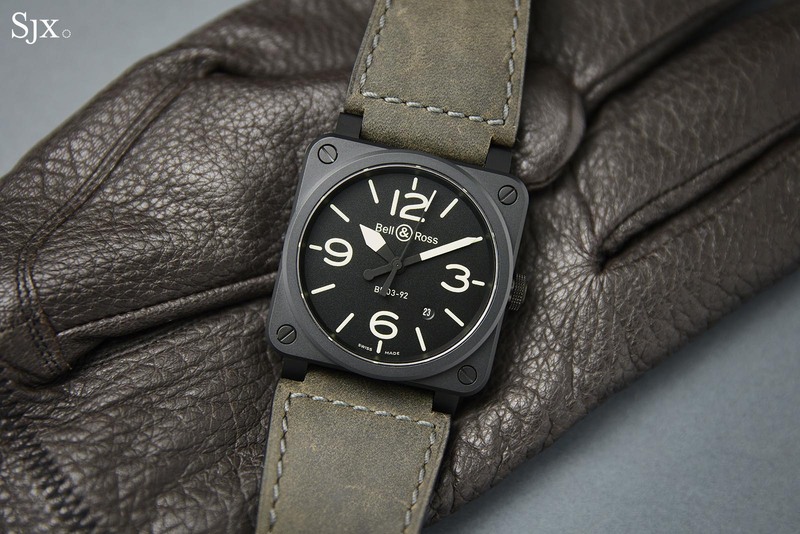 Though Bell & Ross (B&R) has proven adept at reinventing its signature square BR watch case, the BR 03-92 Nightlum reverts back to its origins, being a square-cased aviation watch of that sort that put B&R on the map. The Nightlum is an exercise in essentialism, a reminder of the core principles that make a pilot’s watch – functionality and an irreproachable clarity. 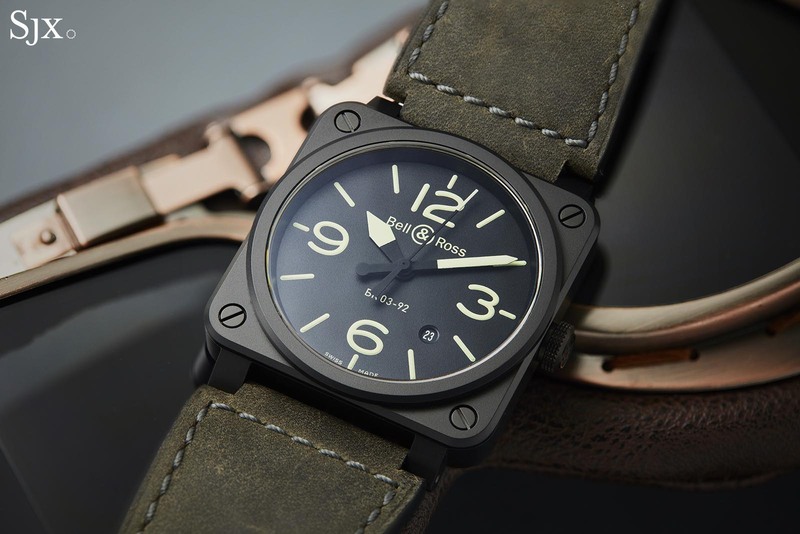 Introduced 13 years ago, the larger BR 01 and smaller BR 03 were originally modelled on old fashioned, analogue aircraft cockpit instruments, explaining the case shape and dial style (and the “92” suffix a reference to the ETA 2892 that was installed in the watch). 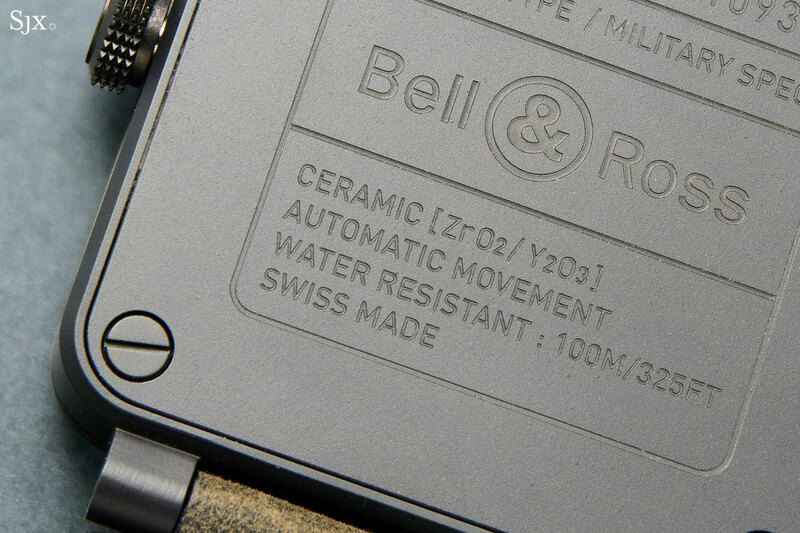 Despite its affordable price, the BR series ranks surprisingly high amongst contemporary watch designs in terms of recognisability. The BR 03 has since evolved into a multitude of variants, but the Nightlum is once again an no-nonsense, aviation-inspired watch. As its name suggests, the Nightlum was designed with an eye towards nighttime navigation, which means liberally applied greenish-white Super-Luminova on a black dial. It features the classic BR 03 dial with oversized Arabic numerals at the quarters and large baton markers. 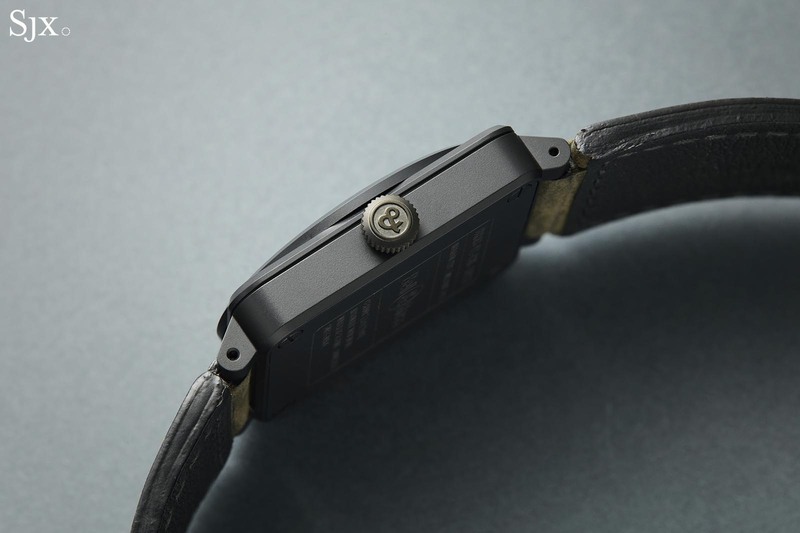 However, unlike recent BR 03 watches like the BR 03-92 BAPE XXV that have a sandwich dial, the Nightlum has straightforward, printed markings on the matte black dial for maximum contrast. 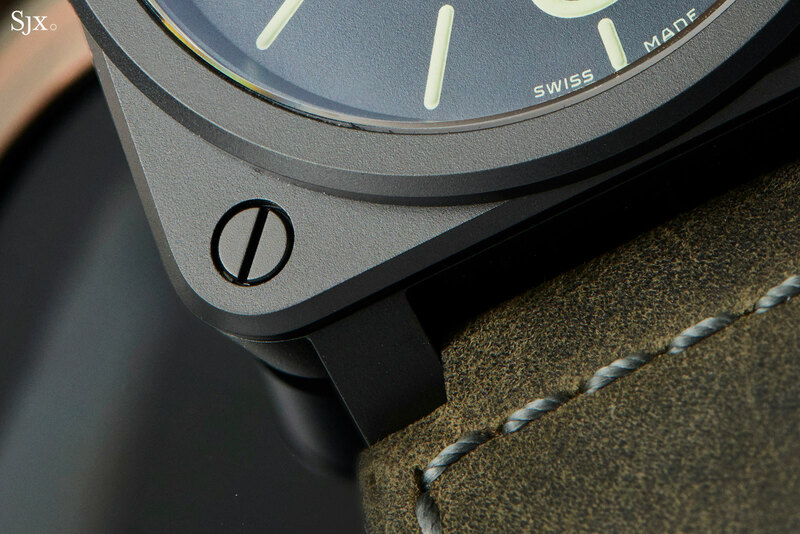 Measuring 42mm by 42mm, the case is smooth, matte black ceramic. Though the overall shape is simple, it is precisely made and smartly constructed, still an impressive design well over a decade after it was introduced. “Zr02” is zirconium oxide, a type of ceramic. Rated to 100m, the case is essentially a sandwich held together by screws that span the height of the case. 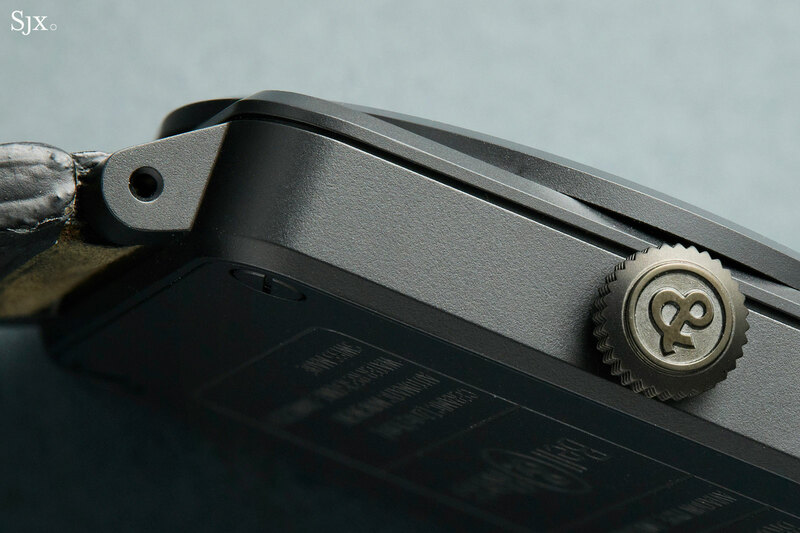 That’s why the bezel screws are perfectly aligned – they are nuts secured by actual screws visible on the case back. And like most B&R cases, it is produced by G&F Chatelain, a case and buckle specialist that’s owned by Chanel, the parent of B&R and also a shareholder in Romain Gauthier and more recently, F.P. Journe. Inside is the self-winding BR-CAL 302, which is actually a Sellita SW300, a clone of the ETA 2892. It has a 42-hour power reserve, a hacking seconds function as well as a quick date change. 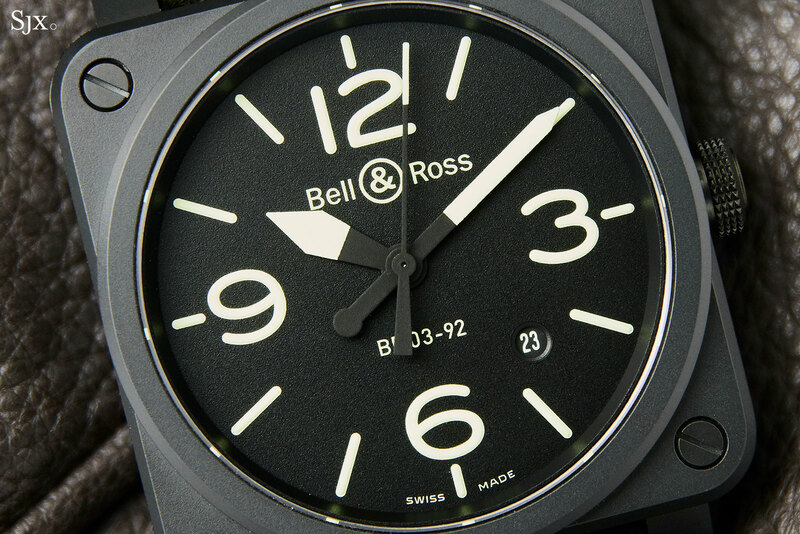 The Bell & Ross BR 03-92 Nightlum (ref. 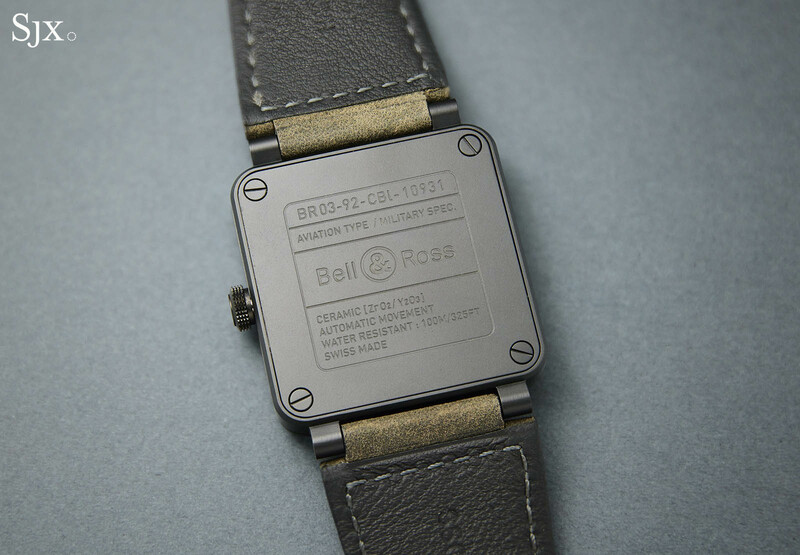 BR0392-BL3-CE/SCA) is priced at US$3800, or S$5500.